If you’re not familiar with Fort McHenry, your elementary school education has failed you. It is the birthplace of our national anthem. Francis Scott Key wrote The Star Spangled Banner about seeing the flag fly over Fort McHenry. while being held captive on a boat off the shore. You have to pay to go into the fort itself or the visitors’ center, but the park surrounding the fort is free to enter and enjoy at your leisure. A lot of people from the area run around the park or kayak in the water around it. There is also a picnic area with a bunch of picnic tables, which is where my use of the fort comes in unless I happen to be showing friends or family who are visiting around the city. 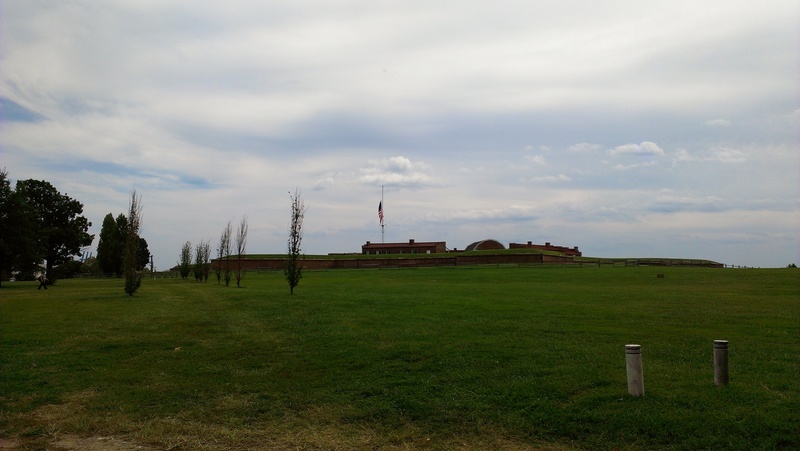 My church is very near to the location of Fort McHenry so when the weather is nice some friends and I will grab some take out from one of the local restaurants or grab some food from one of the local grocery stores to take on a picnic in the park. A group of us went over yesterday though it turned out not to be great picnic weather after all. We decided we should have done a pre-church breakfast picnic instead because it was sunny and warm when church started, but by the time we got out it had turned cloudy and windy. Being on a piece of land jutting out into the water just magnifies the wind, so it was kind of chilly for a picnic. We had a good time anyway. Here’s a few pictures at the fort, though neither of them was taken yesterday. 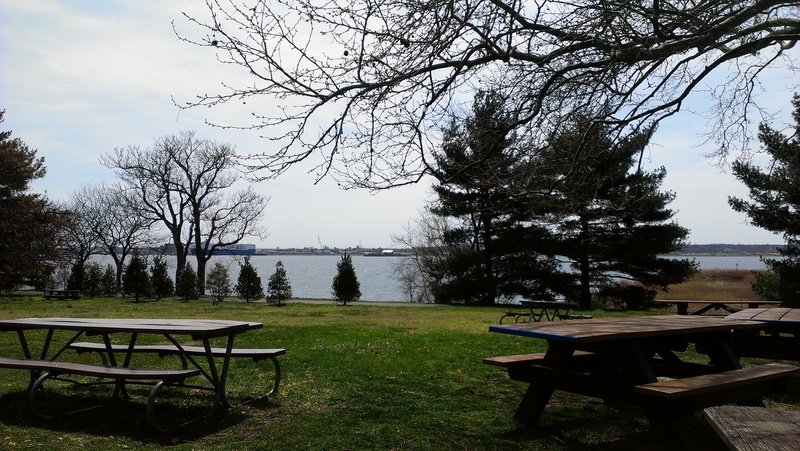 View of the water from the Fort McHenry picnic area.